Shopping is an activity enjoyed by every person in the family, whether outwardly or secretly. Obviously, it is said that women love to engage in this activity a bit more than their male counterparts. Ladies are known to engage in shopping with a lot of passion and spend a lot of time to get the right items with the preferred shade, design, and texture that suit their tastes. Men are not known for such patience, and are likely to make up their minds a lot faster. In either case, it is the responsibility of the store management and the staff to provide a comfortable atmosphere for the shoppers to have a great time at the store. If they do not do that, customers are unlikely to love the experience and they are never going to come back to do repeat business with the same firm again. At the moment, most people have the ability and know how to conduct online shopping and locate their preferred items at very reasonable prices. The ease of conducting the shopping from their own homes or workplaces; the option to get the items delivered at their home’s door steps; the ease of comparing similar items and get to the best priced item easily; the ability to avoid heavy traffic on the streets as well as avoiding the hassles of locating a parking spot make this in to the favourite route of shopping over the traditional purchasing from any brick and mortar stores. With such a scenario, it is extremely important on the part of high street shops to provide the best shopping experience at their shops. The store owners, the management team, sales people and customer support executives need to work in tandem to provide such an atmosphere for these customers. There are many shops that do not provide such an experience for their customers during their shopping trips. This is one reason for the people complaining about the customer service of many businesses operating in the country. 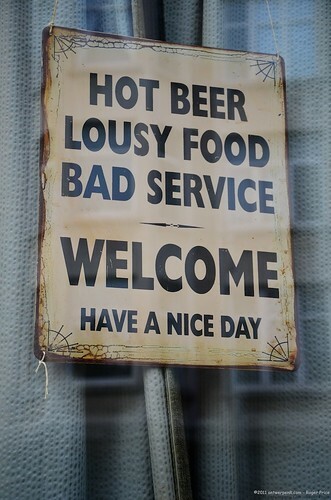 Let us take a look at some of these shops that are notorious for their customer service record. Halfords is perhaps the shop with the worst customer service record. This store is best known for supplying car parts as well as bicycles. Right now, they are at their lowest point. This is due to the poor customer service provided to a large number of customers over a sustained period of time. One or two random experiences are not going to ruin the reputation of a firm with such a well-known name. They achieved the tag of the worst store in the whole of the UK due to the poor quality of the products that they have in store as well as the unhelpful nature of the employees who work there. 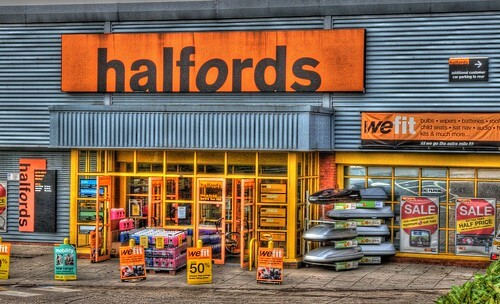 There are many customers who complained about the rude behaviour on the part of these Halfords employees. The next slot for the worst stores in UK is taken up by WH Smith. One of the main complaints about the store is the cluttered nature of its store space. No customer is going to like to shop in a messed up store. It is the responsibility of a good management to provide their customers with the right ambiance to enjoy their shopping activity. It looks like the WH Smith management is lagging in this matter, and are unable to get their employees to do their job well. Tesco, the supermarket giant, is another one of the firms that is in dire need of a retail sales workshop. The clothing department of the store is particularly loathed by many customers. The lack of adequate sales staff at all times makes this firm in to a nightmare for customers. They find it hard to locate the right size clothes and there is not even one person available to assist them in their endeavor. The story is the same at some other departments like shoes and accessories. People who need assistance in changing room are left to themselves, and this is one reason for the low customer service record attributed to Tesco. 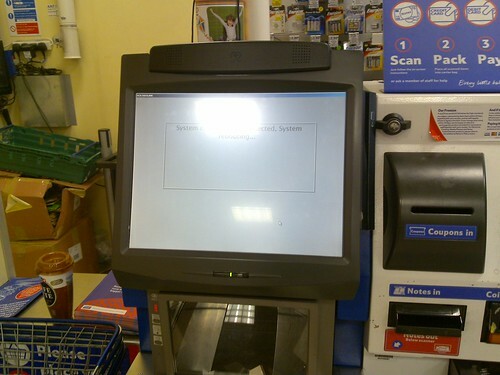 In the supermarket, reliance on self-service check out tills is a reason for the dissatisfaction of customers. Most people like to talk to a human being, and pay for the purchased items. They do not like a robotic voice telling them to scan the item once more, remove the extra item from the counter etc. Unfortunately, most stores are looking at self-service tills as a cost-cutting option and are losing their customers in this process. Some of these stores may think that these machines can complete the transaction a lot faster than their human counterparts. In reality, this is not true. With so many retail businesses cutting corners to try and save money and stay in business, there is no dearth of competition for the worst customer service award in the UK. However, Halfords, WH Smith, and Tesco, are the retail giants who currently vie for this dubious title. Guest Post By Phoenix - Training - Management, Leadership and Sales training.